Map of Colorado county boundaries and county seats. Maps of Colorado are generally an invaluable area of ancestors and family history research, particularly if you live faraway from where your ancestor lived. Since Colorado political boundaries oftentimes changed, historic maps are essential in helping you find out the exact location of your ancestor’s home town, just what land they owned, just who their neighbors happen to be, and a lot more. 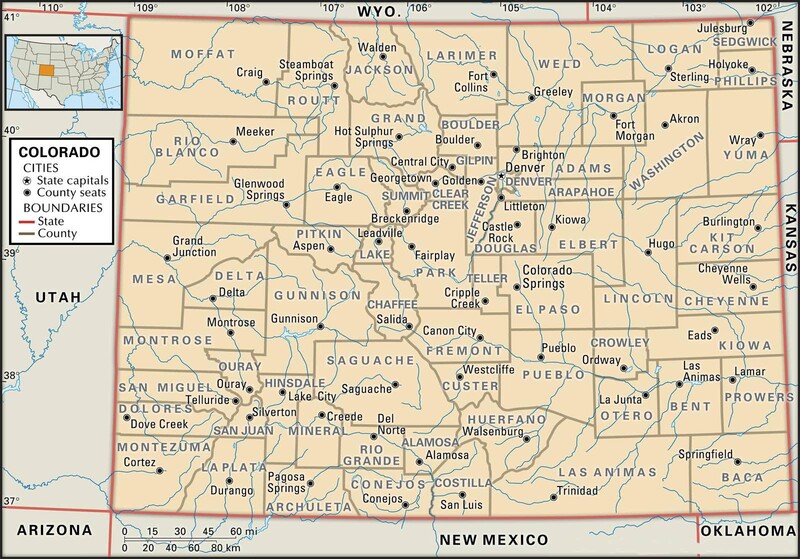 Maps of Colorado typically have a tendency to be an excellent resource for how to get started with your own research, given that they give substantially beneficial information and facts right away. Colorado Maps can be a major source of important amounts of information and facts on family history. Colorado borders Arizona, Kansas, Nebraska, New Mexico, Oklahoma, Utah and Wyoming. Colorado’s 10 largest cities are Denver, Colorado Springs, Aurora, Fort Collins, Lakewood, Thornton, Westminster, Arvada, Pueblo and Centennial. 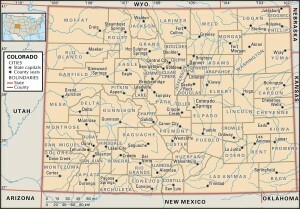 Learn more about Historical Facts of Colorado Counties.